Adults and students use backpacks each day to carry the items they need for general uses and specific tasks. Manufacturers like Osprey provide customers with a variety of colors, design elements, and materials that give users a pack that meets their needs. 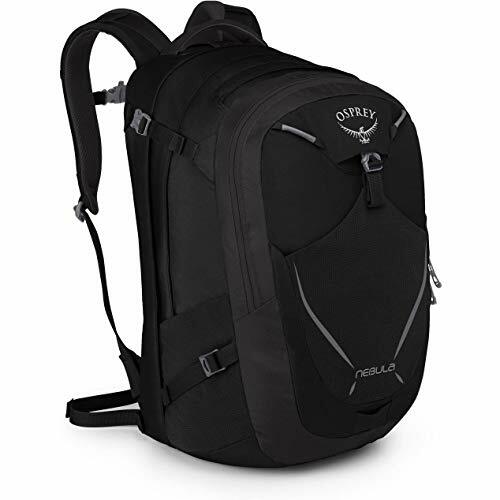 Osprey offers two products in their everyday backpack series that provide unique features along with similar design elements. The review below looks at the Osprey Comet vs Nebula more closely, providing information about both models. We close out with a section dedicated to the better of the two along with the reasons we feel that way. Both designs are made for use in a variety of settings from the urban grind to hiking on the trail. As everyday pack designs, they lack the heavy shoulder padding that hiking packs have but offer convenience features not found on overland gear. Both packs use 420HD nylon packcloth for the body and bottom sections, as well as 210D nylon stripe twill for the accent sections. These materials are designed to endure normal use and loads but are less effective against penetration from sharp objects. Both backpacks come in black, blue, green, grey, and red. The Nebula is also available in additional blue and green accents. Adequate moisture protection is offered by the Comet and Nebula, but the water resistance does not make them waterproof. The zippers that Osprey provides are secure and use large enough teeth to prevent the zippers from getting stuck. Each has a back panel covered in a suspended mesh that promotes material breathing when worn. As day packs, neither product uses a frame, keeping their bulk and weight down. The Nebula provides an extra inch in height, width, and depth. This increases the weight slightly while providing 246 extra cubic inches in storage space. That, along with more pocket options, justifies the higher price point on the Nebula. Neither backpack is designed with thick padding found on hiking pack shoulder straps, but the Nebula does provide a bit more padding than the Comet does. Both packs also have hip straps, but they are designed for light loads and are added to provide an extra secure point for the pack when worn. They also have an additional strap for the sternum area, helping to keep the pack aligned, even when it is only partially filled. None of the strap features described above are designed for a full day of hiking but are intended for casual use. Osprey’s Nebula also includes compression straps that can be used to keep it compact when only partially full or when trying to store it in small spaces, like an airline storage compartment. Both products have a carry strap located on the top of the pack, and they Comet includes an extra front grab handle with padding. An additional safety feature found on both packs is the attachment point for a blinker light. The Comet and the Nebula have a front panel pocket that provides easy access to small item storage. Side pockets made from stretchable mesh offers exterior storage for food items, cell phones, and water bottles. An additional stash pocket is located on the front of the Nebula, allowing users to carry a light jacket or sweater without filling the interior space. These products have a top pocket covered in a scratch-resistant coating that gives extra protection for things like corrective lenses or electronics with screens. Both backpacks unzip in the middle, offering a large space for storing items loosely. A document holder is located along the back of this section for loose paper or tablet storage. The Osprey Comet and Nebula backpacks have a padded interior sleeve that can be used to store electronic devices larger than cell phones. Its padding provides protection from bumps, while the hanging design helps to keep it off of the bottom of the pack. That design feature prevents it from hitting the ground when the back does. The interior placement is also advantageous. Locating the electronics sleeve near the rear panel allows the laptop or tablet to stay close to your body and provides extra protection while moving. The Comet and the Nebula both meet with standard carry-on size requirements. Along with the compression straps mentioned previously, the Nebula also includes a laptop sleeve that meets TSA requirements. This allows you to move through checkpoints faster. Which Osprey Backpack is Better? While both products offer similar design elements, the Osprey Comet vs Nebula does provide additional features that make it a better option at a slightly higher price point. The additional padding on the shoulder straps can be noticed, especially with a fully loaded pack. The storage system provides you with more room and extra pockets to keep things organized in all interior compartments. Both products provide a strap system that promotes balance and stability, but the extra compression straps increase the storage capabilities for the Nebula. The additional laptop sleeve that is TSA approved adds a final travel bonus that the Comet is unable to provide users. More comfort and carry capacity make the Osprey Nebula our choice between these everyday use backpacks.